Berlin, 19 February 2018 – Every second person in Germany has only limited health literacy. It is hard for them to understand and evaluate health-related information. 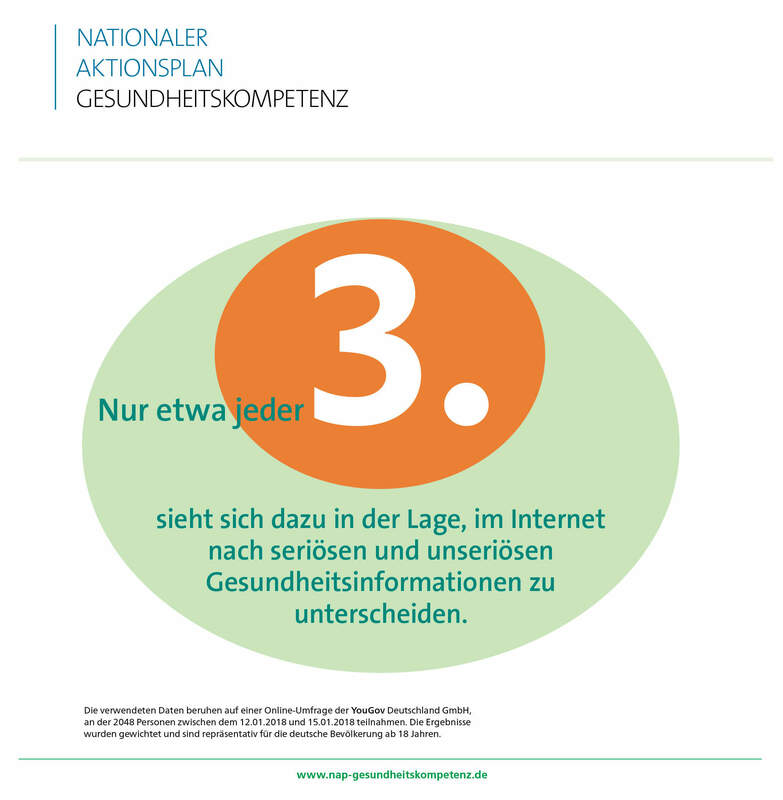 A team of experts from academia and the healthcare field, led by Doris Schaeffer and Ullrich Bauer from the University of Bielefeld, Klaus Hurrelmann from the Hertie School of Governance and Kai Kolpatzik from the AOK national association (AOK-Bundesverband), want to combat this deficit with a "National Action Plan for Health Literacy". The plan offers 15 concrete recommendations involving all the relevant actors, and aims to make the healthcare system more user-friendly and promote citizens’ health literacy. The "National Action Plan for Health Literacy" is an initiative of the academics and is sponsored by the Federal Minister of Health. The Robert Bosch Foundation and the AOK-Bundesverband funded the work.